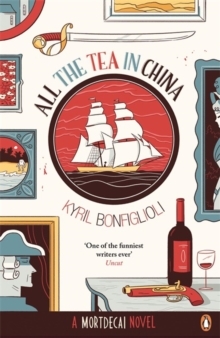 All the Tea in China - a Mortdecai novel by Kyril Bonfiglioli, soon to be a major film starring Johnny Depp'One of the funniest writers ever' UncutAfter committing a crime anyone but a close relative might forgive, Karli Mortdecai Van Cleef leaves Holland double-quick with his uncle's buckshot lodged firmly in the seat of his breeches. Discretion being the least-idiotic part of valour he decides to hide far away in London, among the tea shops and opium dens. On savouring these Eastern delicacies and knowing an opportunity when he sups upon one, young Karli throws in his lot with an opium clipper bound for China's high seas. Life on the ocean waves, however, is full of perils for an officer and his sensitive digestive tract: mountainous waves, an encounter with a malodorous slave ship, the captain's wife's pulse-racingly brief wardrobe, several hordes of pirates, mutiny, the ship's cook's fondness for curry - to name but a few. All the Tea in China is a swaggering, rip-snorting, buckler-swashing tale about one of the men who - for a reasonable fee - made Britain great. 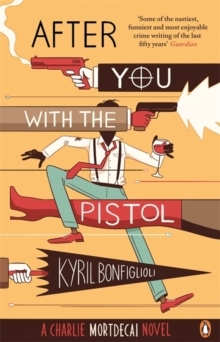 'For those who have learnt to relish his elegant, nasty thrillers, Bonfiglioli is a name hard to forget. 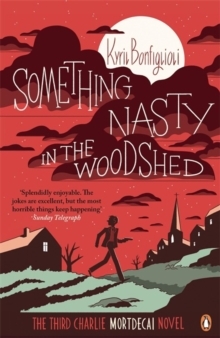 This farrago represents a change from the thrillers - a good clean salt-water yarn for the decadent' Irish Press'Shows his customary inventive comedy and zest for language' Sunday Times'Bonfiglioli deserves better than cult status' IndependentKyril Bonfiglioli was born on the south coast of England in 1928 of an English mother and Italo-Slovene father. 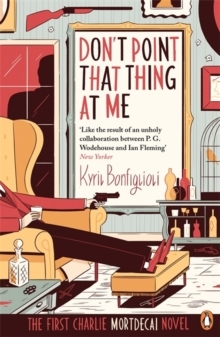 After studying at Oxford and five years in the army, he took up a career as an art dealer, like his eccentric creation Charlie Mortdecai. He lived in Oxford, Lancashire, Ireland and Jersey, where he died in 1985. 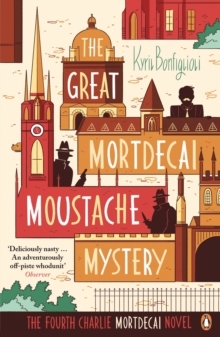 He wrote four Charlie Mortdecai novels, and a fifth historical Mortdecai novel (about a distinguished ancestor).